April Dannelly-Schenck is a private cello teacher and performer who recently moved to the Milwaukee area from St. Louis, Missouri. She currently teaches at the Wisconsin Conservatory of Music and Maestro Makers. Mrs. Dannelly-Schenck has been teaching cello since 2006, and has completed her training through Book 7 of the Suzuki method. While living in St. Louis, she taught private instruction in cello at Lindenwood University, and private cello lessons from her home and at the Community Music School of Webster Groves. As a teacher, April believes that her mission is to help every student create joy through music, both in their own life as well as the lives of their family and community. April has always been an active chamber musician and orchestral performer. She is currently the assistant principal cellist in the Menomonee Falls Symphony, and a regular substitute cellist with the Wisconsin Philharmonic, Festival City Symphony, and Illinois Symphony Orchestra. In St. Louis, April served as the principal cellist in the St. Louis Civic Orchestra, and as a section cellist of the Peoria Symphony Orchestra. Being drawn to string quartet music, she was a member of the Dorian Quartet, with whom she performed in the Oberlin Honors Recital in 2006. The following year the quartet was selected to showcase the Oberlin Conservatory in a recital at the Kennedy Center in Washington, D.C. The Dorian Quartet was honored to be chosen as semi-finalists in the Plowman Chamber Competition, and also received Honorable Mention in the Ohio String Teacher’s Association Chamber Competition. 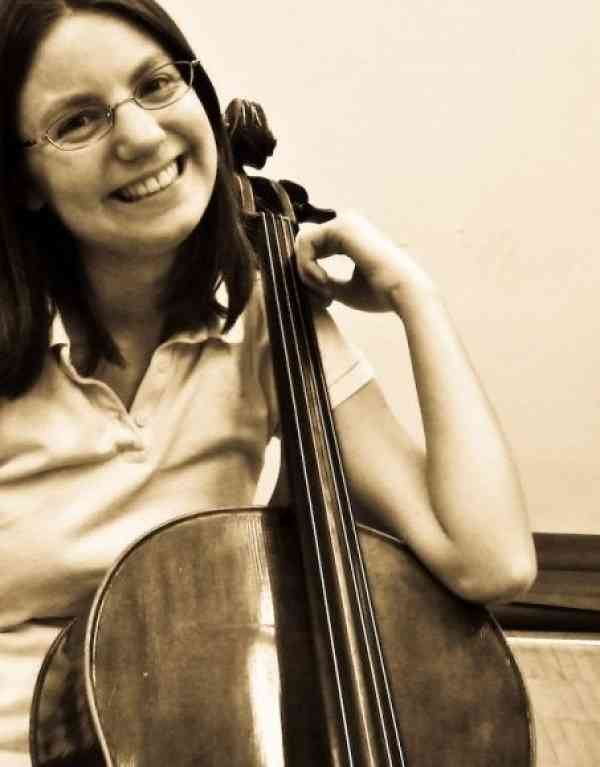 Having a passion for both music performance and music academia, Mrs. Dannelly-Schenck received a Bachelor’s degree in cello performance with a music theory minor from the Oberlin Conservatory of Music, and then went on to complete Master’s degrees in cello performance (MM) and in music theory (MA) from the University of Wisconsin-Madison. Throughout her three years at UW, she taught Aural Skills and Theory as a TA for the freshman music theory course. She taught upper level Music Theory during her years as a professor at Lindenwood University.